Mic check one, two, one, two..
Hyperwallet is headed to Music City USA (a.k.a. Nashville, Tennessee) this May for Music Biz 2019. Powered by the Music Business Association, Music Biz 2019 brings together global leaders in the commerce, content, and creative communities to build relationships and discuss the future of the music business. As with previous years, Hyperwallet will be attending this event in order to help rethink the royalty’s payout industry. 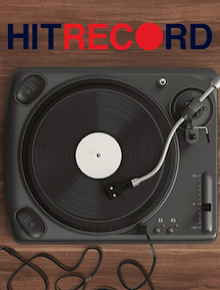 Distributing royalties and paying freelance contractors in the music business has long been a difficult and frustrating task. Rethinking this process has been a focus of ours here at Hyperwallet for a handful of years, and now, thanks to our global payout platform, we’re confident that we can help change the royalty distribution process for the better. 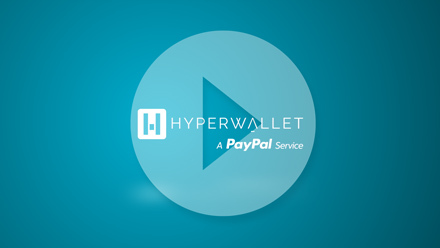 Curious to see how Hyperwallet is helping solve payout problems in the music industry? 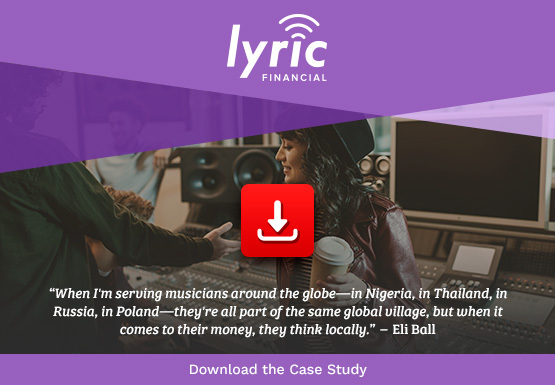 Then check out our Client Case Study with Lyric Financial and see how they were able to unlock local-currency payouts around the world. You can also download our ebook: Royalty Payments are Broken, to better understand the six biggest issues plaguing the royalty payment space today. Chantielle is the Vice President of Marketing Communications at Hyperwallet. No stranger to payment pains (she’s had the unique pleasure of both paying freelancers and being paid as a freelancer), Chantielle’s posts focus on identifying (and providing simple solutions) to common contractor payment issues. If you enjoy sarcasm, you’ll probably enjoy her perspective. What will it take to improve global disbursements? Hyperwallet's SVP of Business Development & Strategy looks at the key trends in cross-border payments.